Poll: What price will you pay for a smartphone in 2018? Smartphone prices have rocketed and our shiny new devices are burning bigger than ever holes in our pockets. Considering all of the new technologies and innovations (or lack thereof) being introduced by brands, we want to know how much you're willing to pay for a smartphone this year. A whole year spent with the Galaxy S8, with good and bad surprises! Galaxy S9 vs Xperia XZ2: which MWC star is better? Some may feel that they're being ripped off, and for good reason. In our article about how much it actually costs to make a flagship, we discovered that it costs around 30 - 40% of the final price for the Galaxy S8 or the iPhone X for example, which seems extortionate. However, we can expect it to increase with the development of new technologies and design features. OnePlus is a good example of this, with its latest device rumored to be $749. 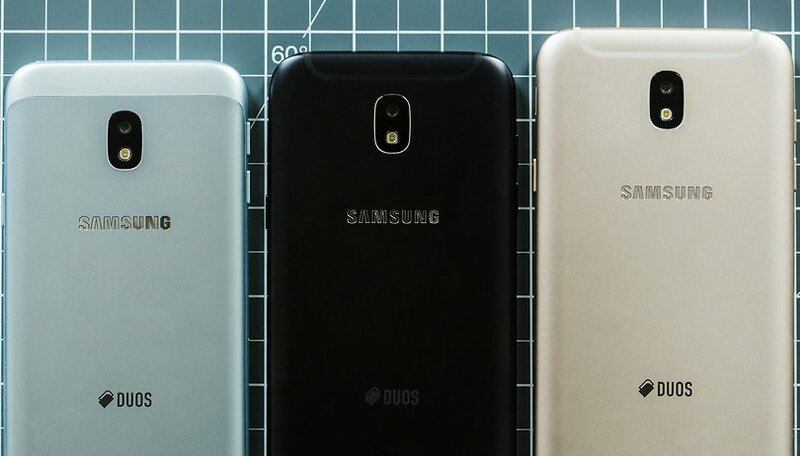 The brand built a solid fan base on the fact that it provides phones to compete with the latest flagships, at an attractive price, so the fact that it is swaying from its niche could be a sign of the times. Alongside the almost $1000 S9 Plus or iPhone X though, it's still quite reasonable. A good thing to look out for are deals, such as Google's offer on the Pixel 2 XL, or Verizon's buy one get one free offer on the S9s. Alternatively, you might be more inclined to go for a mid-range. With brands such as Huawei, Nokia, Xiaomi releasing decent mid range devices, sometimes it's just as good to opt for one of these if you don't need the best and latest. Last year, most of you wanted to pay around $300-$400. Are you willing to splash the cash for the high-end phones? Or do you prefer to save your money? Cast your vote and comment! $900 or more - I only want the best! I tend to spend close to $200, but no more than $300 (I'm fortunate if that total comes with a nice case and screen protector included). Yes, Huawei's Honor and ZTE have been good to me (better than LG, Asus, Moto-Lenova); often with reasonable software updates (whatever LG, Asus, Moto-Lenova guaranteed never occurred). My first Android device was an HTC Droid (remember those?) - I loved it's quality build, but I hated how Verizon cheated me out of reasonable software updates - and from there I became No Contract (which means I have gotten to test several Android smartphones every 18 months over the past 5 years with Boost, Cricket Wireless, MetroPCS). If the time comes for me to update to a new Android smartphone? I'm sure to purchase a brand new micro SD card (one that's 128gig as the price of memory cards has gone down); but I don't see this happening until the end of 2018 / beginning of 2019, because I'm waiting for 5G Networks (and that means having to obtain a device that is 5G compliant). I look forward to reading everyone's comments here; as I don't judge regarding your preferences with regards to Contract vs No Contract (or brand loyalty). I'm sure there are many of you who are looking forward to the advantages of a 5G Network (possibly even bundling that 5G Network so that you have Internet access in your home to eliminate the need for cable / satellite services). This means you will be looking for a brand new Android smartphone that is 5G Network compliant (I am surprised this article did not touch upon the fact that many of us are holding out for 5G Networks). I have the HTC Droid incredible and loved it. I was truly disappointed when the OS updates didn't materialize. Because I buy a flagship phone, they tend to last for quite a while (my last one was 4 years old when I upgraded), so I don't feel guilty when I buy a new one. PLUS I got the Pixel 2 for $349.00 from Verizon ... you can't beat that with a stick!! I wouldn't feel guilty at all for only waiting 2 years to upgrade at that price! However, I am not buying a new phone in 2018, and that option was not given in the poll. Based on the numbers above oneplus pricing is going the wrong direction for improved market share. Normally the lifetime of a phone is about 2 yrs, and during these 2 yrs lots of new phones are poured into the market, so I don't think spending a large sum of money for a 2-year-phone is cost-effective. Sure, the rich have different views. 300-500 is pretty much my max. I won't buy "flagships"...personally, just not worth it. I typically wait until a new model comes out, then buy last years "big deal", for around 1/2 of what it was. Every new generation of phones comes with more and more interesting, more sophisticated features, but the price is steadily rising. So we have extremely well-equipped phones but at a price that discourages many to buy them. On the other hand, we also have phones that are just beginning to have the necessary features and which, for a very reasonable price, is the perfect solution. Let's not look at the "lifetime" of a phone, which I estimate at about 2 years, after which the phone becomes "morally used", being overcome by the newest appearances. Even though the phone is perfectly functional, the new features of recently launched phones will eclipse old models, and so will tend to sell the phone to buy the latest version. For a more decent phone, it is very easy to change every 2 years, or even every year, the price being affordable to change the phone more often. Expensive phones boast an exceptionally good camera, yet their quality just comes close to the quality of a dedicated camera. Those who prefer to take pictures with their mobile phone make it more convenient, and quality pictures will prefer dedicated cameras. And then I sit and wonder: why should I give so much money for a phone, even if it is... smart ?! My 2016 phone is more than sufficient to last year and probably well into 2019. I went with a Huawei Mate2 a few years ago because of the HUGE battery, then the Mate8 and now the Mate9. For what I use, they are perfect. I wouldn't go back to the overpriced flagships, that are designed more to be a "work of art" than function. Sorry, those flagships are overhyped and overpriced. At least for me I was able to achieve my price point last December when my carrier offered $300 off on the Pixel 2. I was able to pick up the 128 GB model of the Pixel 2 for $449, granted that's on a payment plan. But that left the money in my pocket. I'm not into buying a new phone every year so for me this works. And of course Google threw in a 2 year warranty and at least 3 years of OS updates. I consider it a win-win. But my wife's phone is close to be needing to be upgraded and the same price point will hold for her's. I waited 3mos after the s8+ was released. I upgraded my s7edge and got the plus for 540.00. This was a deal I could not refuse!